Sometimes your DIY project turns into an RYSTDIFY project. In case you haven’t learned that one yet, it stands for Recruit Your Sister To Do It For You. So my tiny house is pretty much going to be a RYSTDIFY. Because my sister is stronger than me and knows a little about everything. But mostly SHE’S SO STRONG. 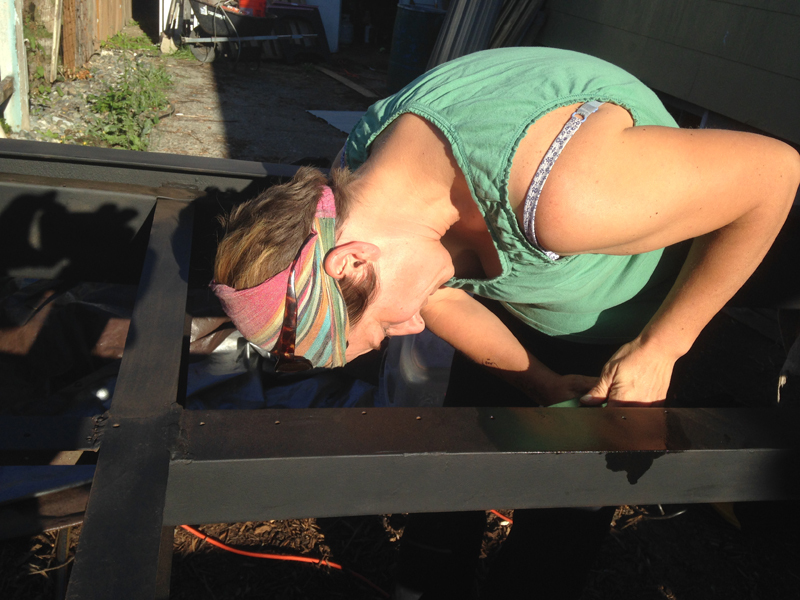 My last tiny house blog post was about sanding and stuck boards. There were 12 boards stuck to my trailer. That was in June. Until two weeks ago there were still eight boards stuck. But then my sister Adina came home (jet-lagged and sick after a vacation to Morocco) and she TOTALLY GOT THOSE DAMN BOARDS OFF. She’s the hero of this episode of tiny house building. 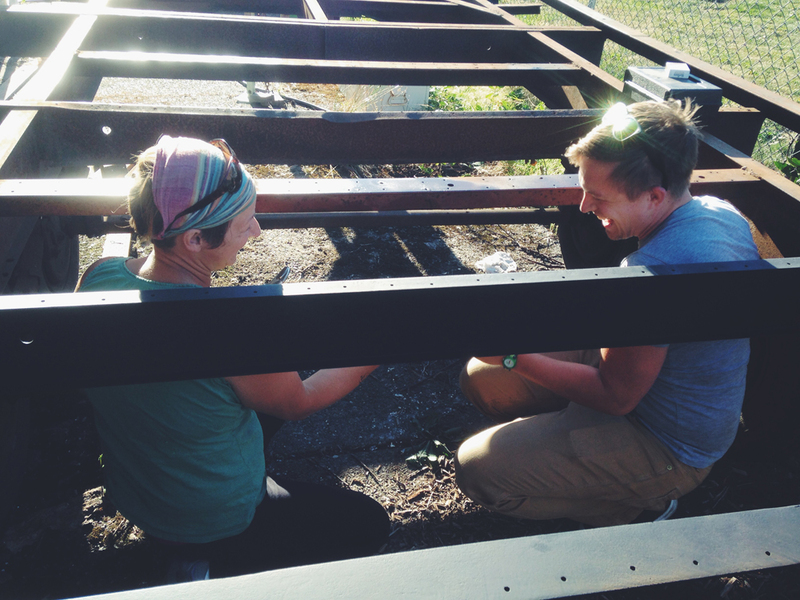 (And Benj too, because he came over and helped Adina unscrew a few decapitated screws. 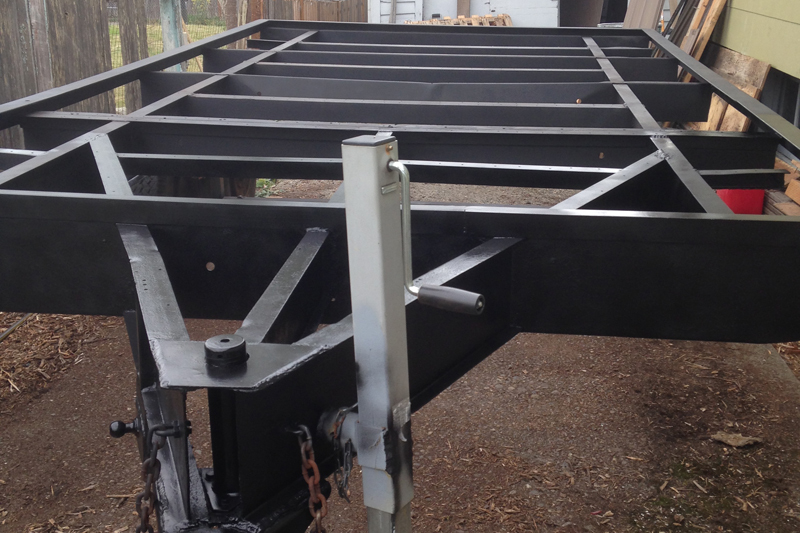 So I spent the next week sanding all the rust off the 18-year-old frame and repainting her all shiny and new. 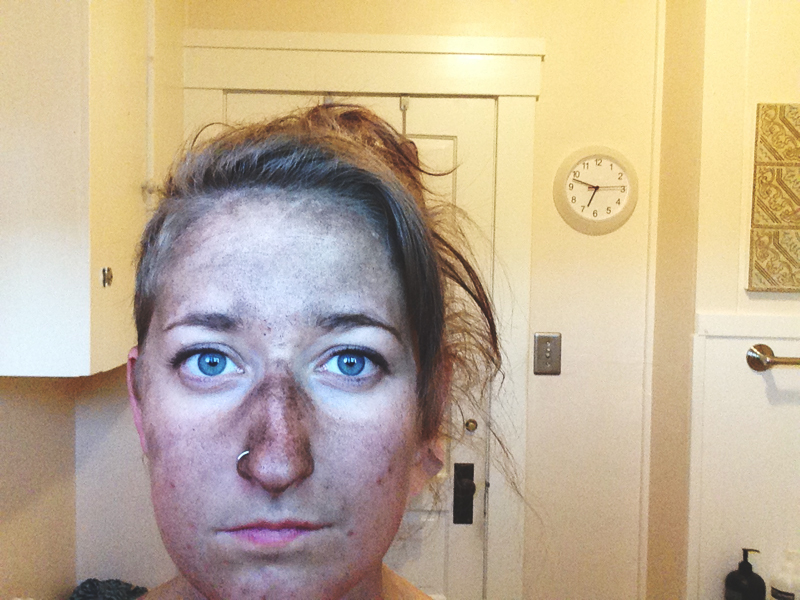 Sanding is dirty business, guys. Framing starts in less than 12 hours. Yippeeeee! Paul, I’m so glad you enjoyed the blog. See you next time you’re in town.